« Who Looks Best in Christian Louboutin ‘Neoalto’ Pumps: Jennifer Lawrence, Heidi Klum, or Hailee Steinfeld? 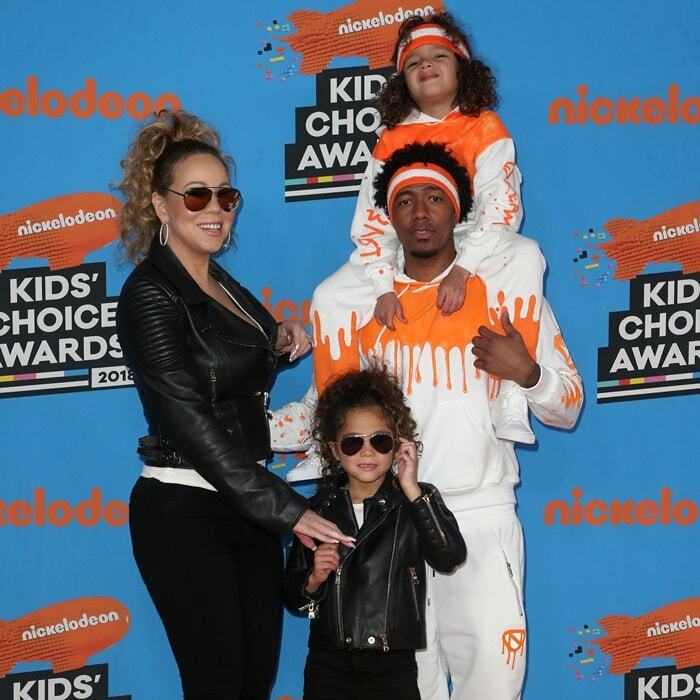 Mariah Carey and Nick Cannon were twinning with their kids on the orange carpet at the 2018 Nickelodeon Kids’ Choice Awards held at The Forum on Saturday in Inglewood, California. 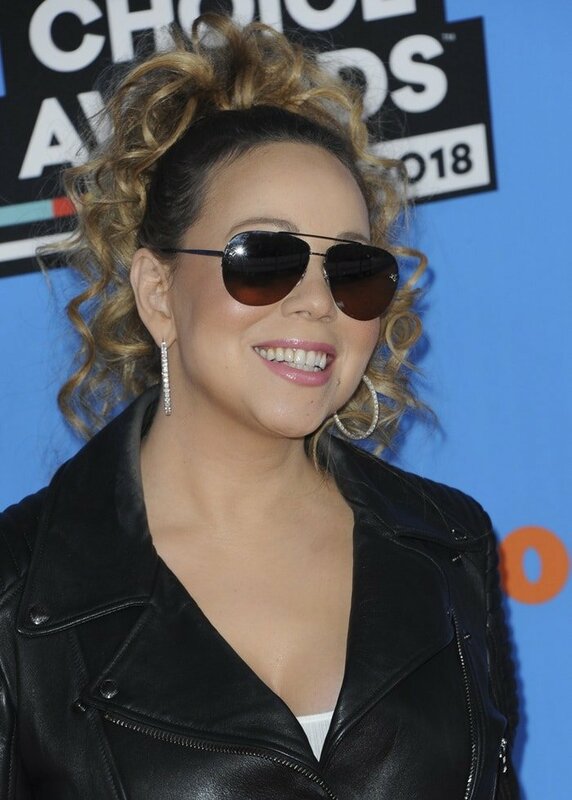 The 47-year-old American singer and songwriter and her 37-year-old ex husband rapper made it a family affair as they arrived in matching outfits at the awards show with their 6-year-old twins Moroccan and Monroe. While Nick and Moroccan looked cool in a white and orange tracksuits, Monroe and her mother looked cute in matching biker leather jackets and aviator sunglasses. Mariah styled her Tom Ford jacket with hoop earrings, tight jeans, and bejeweled peep-toe platform sandals. If you’re looking for an affordable alternative to Mariah’s glittering sandals, check out the ‘Alisha’ platforms that you can purchase for $9.99 at ShoeDazzle. You won’t be able to stop looking back at yourself in these platform sandals. Her ’90s silhouette gets a luxurious update with gorgeous jewel accents along an impressively high heel.